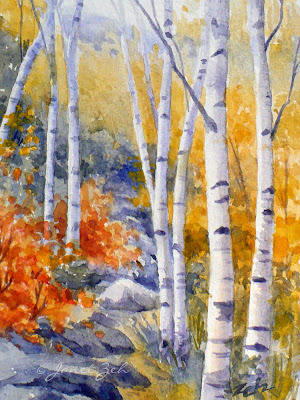 White birch trees line a mountain trail. A hike up Mt. Chocorua in the New Hampshire White Mountains inspired this piece. In October, the landscape is alive with autumn color! The original was painted on handmade paper for an impressionist feel. 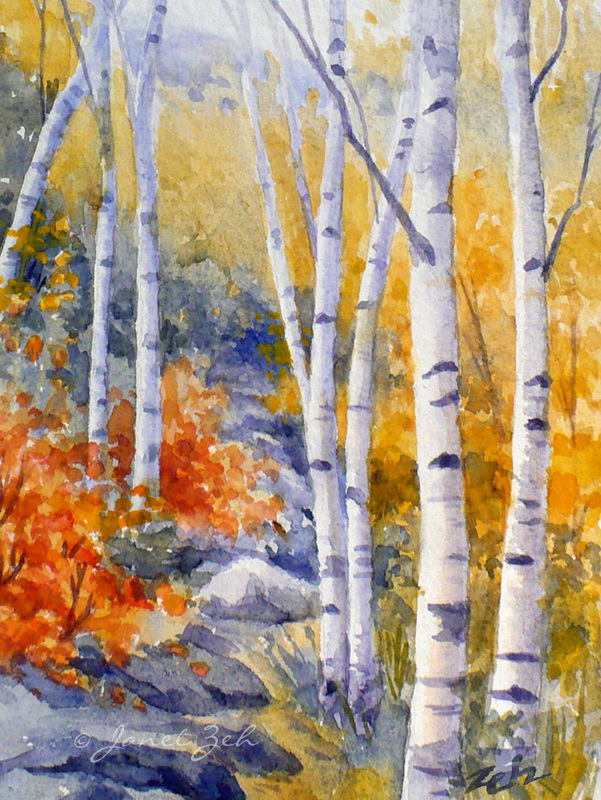 Birches Along the Trail print is available in several sizes and can be framed, unframed or printed on canvas. Click the Order Print button below to see sizes, options and prices.